Our friend Maura had some locally picked funghi porcini that were fabulous. 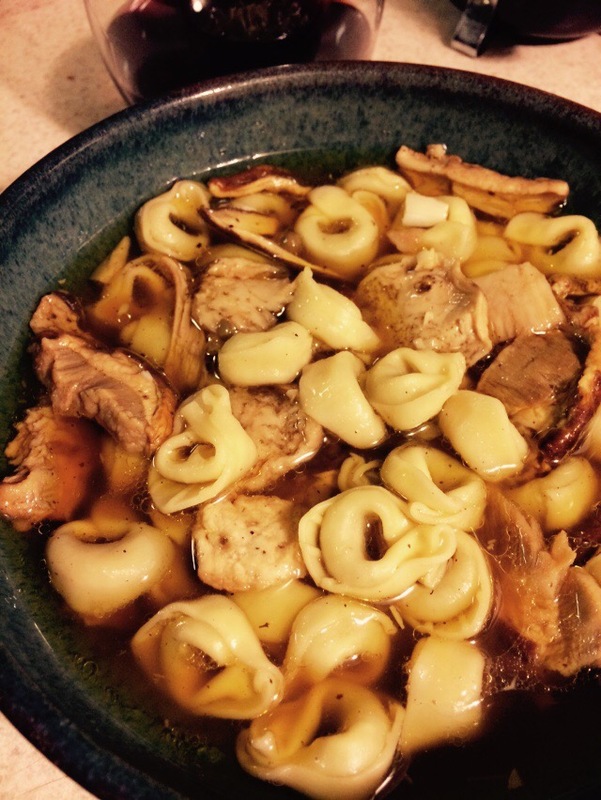 We made them into a Marsala and caper and garlic broth for some spinach and ricotta tortellini. Heavenly! Served with Giribaldi’s dolcetto, it was a perfect fall meal.